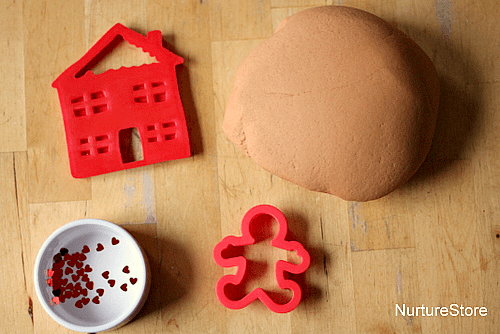 Play dough is a great material for sensory play, but have you ever used it for storytelling? 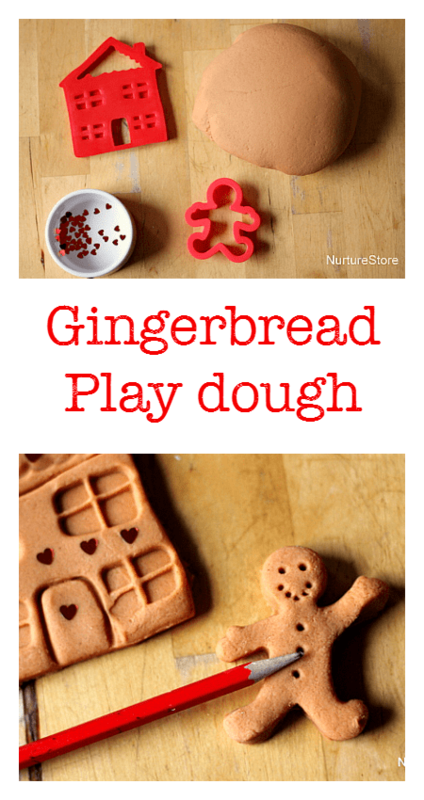 Here’s an idea for combining playdough and fairy tales. 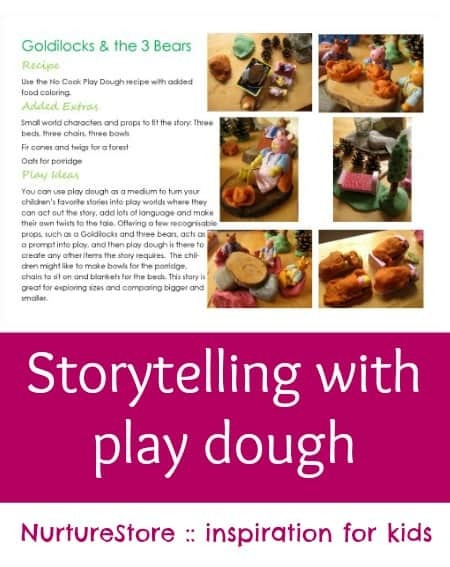 Play dough is such a versatile material, and a great thing about combining it with pretend play is that children can mould the dough to be anything they want. 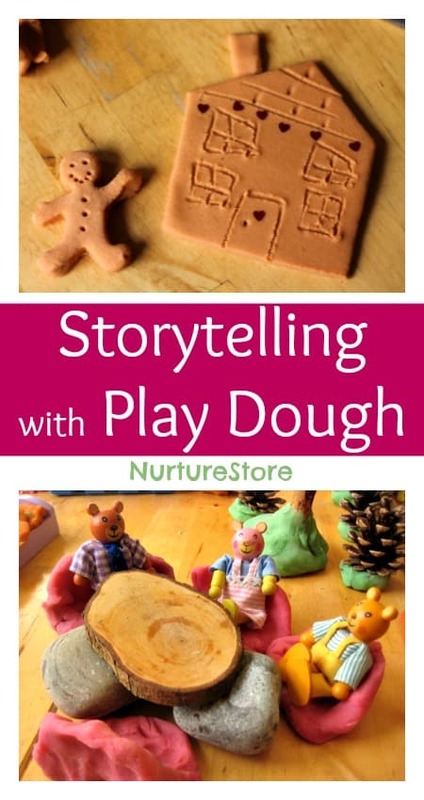 Combined with a few props to hint at a favourite fairy tale, you can use play dough for storytelling and imaginative play, helping then practise recalling and recounting a tale, and developing their use of language. 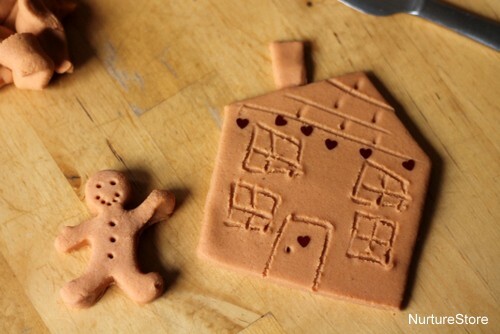 To set the scene for a gingerbread man activity, all you need is some gingerbread play dough, a gingerbread man-shaped cookie cutter, maybe a house one too, and a pencil. 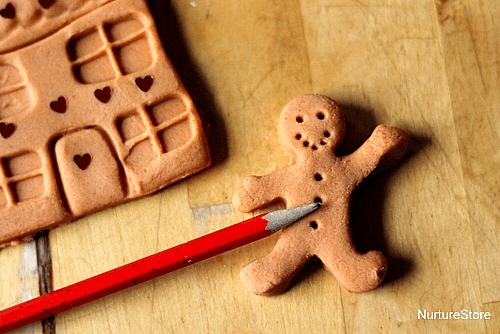 You can shape the dough, or use the cookie cutter, to make a little gingerbread man, adding in details with a pencil. 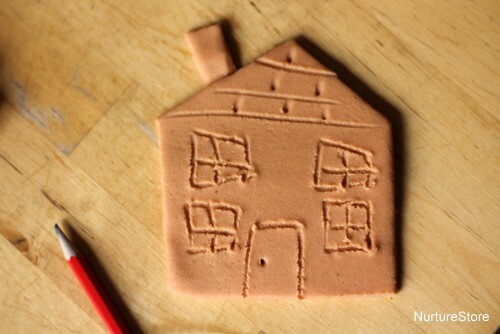 We happen to have a house-shaped cookie cutter, but my daughter also enjoyed making her own house from square, triangle and rectangle tiles of play dough with windows drawn on with her pencil. Then you’re ready for some storytelling. 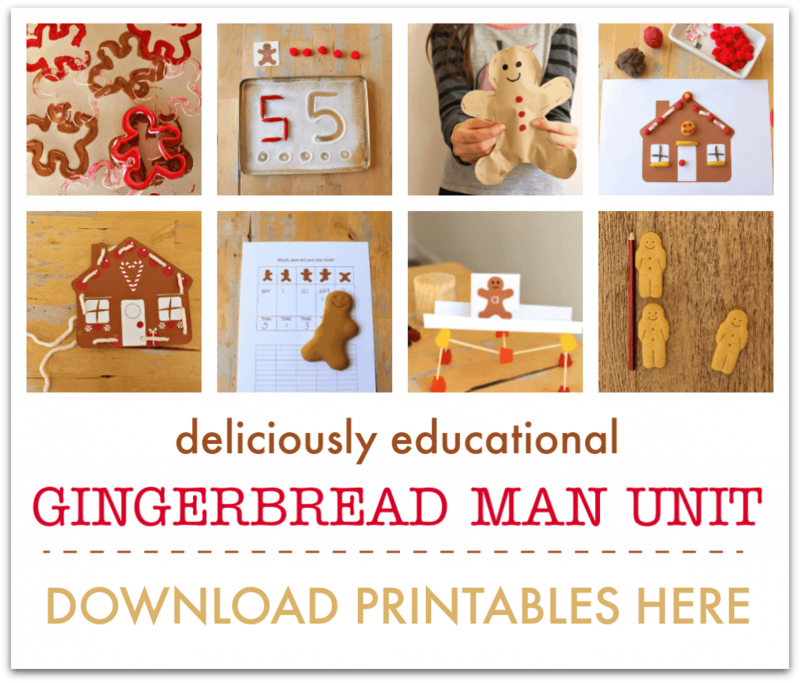 You might like to re-tell the traditional gingerbread man story, or add some funny twists and turns of your own.